Morelia Supermarket builds a bond with those that go there. Our employees will always have smiles on their faces and will help you with all your grocery needs. We offer items that are difficult or normally impossible to find in any other well known supermarket. We sell ethnic produce, cheese, baked goods, and treats. Have you been looking yucca without success in so many stores they seem to blend together? Your hunt is over since we sell yucca fresh here. Also, our limes are one of the best to use and our guacamole quality is unmatched in price and smooth creamy taste. We give a taste of home from somewhere else, so be sure to pop in for a taste of somewhere far away. It takes time to make a taste of somewhere far away, and we understand that sometime you can be scrapped on time and want to have a good meal without the extra cost of having a good meal that you haven't made yourself. That's why we prepare hot food ready to be served straight to you. After you've stopped by our hot bar check out our bakery. We sell pan dulce of every type. Each one is light, fluffy; sweet. A sprinkle of glazed sugar tops the perfect. Not ready to try the delectable treat? Try one of our muffins or donuts. Customers themselves have agreed that they make mainstream business donuts look wimpy and tiny. Or bolios and other breads are always a staple of the diet and always fresh every day without fail. 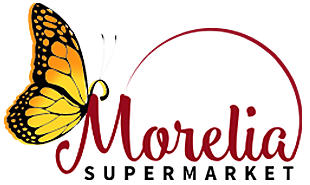 Here at Morelia Supermarket we never slack on taste and always want to deliver to you the best of everything we can and our dedication shows itself in our product every time! Before looking somewhere else for good service, price, and product first stop by our supermarket and decided for yourself whether you want to search long and hard for something a quick drive away. We hope to see you soon!